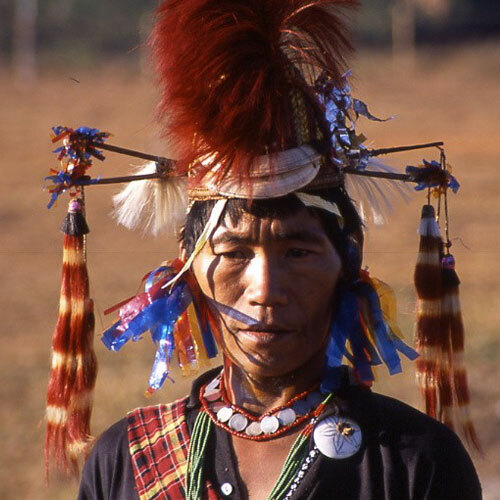 Aoleang is the main festival of the Konyaks from northern Nagaland. It is celebrated in the first week of April every year, this year Mon will be witnessing the celebration from 1st - 6th April. It is observed after the time of sowing seeds in new fields. Aoleang celebrations also mark the end of the current year and welcome the begining of the new year with the spring season. It is the time to pray for a bountiful harvest of crops in the current year. Aoleang is spread for six days from 1st to 6th April. It is celebrated with much pomp and fervour. Each day of the festival has its own significance, custom rituals and merry making. It is a festival of sharing and forging ahead with renewed vigor into the coming year. This festival also showcases the rich cultural heritage, with indigenous dances, songs and games combined with the modern music talents of the district. It aims to develop relationships between the government and the people, bridging the communication gap, promoting peace, culture and progress. If you are interested in visiting Mon to experience the Aoleang festival, please contact me.